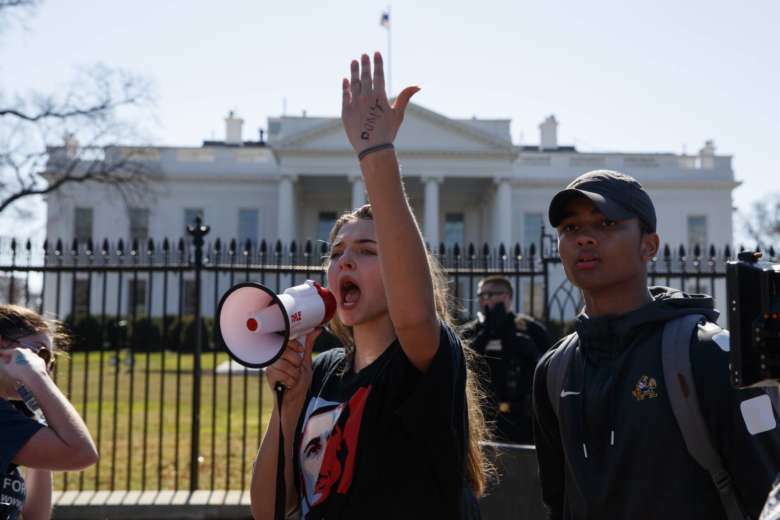 WASHINGTON — D.C.-area school systems are letting students and parents know what they can expect if their children opt to take part in the National School Walkout next week. Organizers of the event, intended to protest gun violence and urge action in Congress, are calling on students to walk out of class at 10 a.m. on Wednesday, March 14, one month after the shooting in Parkland, Florida, that left 17 students and staff members dead. As part of the walkout, students are being encouraged to leave class for 17 minutes. In Montgomery County, school spokesman Derek Turner said principals are working on providing students with the opportunity to take part in activities including letter-writing, moments of silence, and an on-campus walkout. If students leave campus without permission, they’ll be marked down for an unexcused absence, he said. But school spokesman Wade Bayard said school officials are working with students to come up with curriculum-related activities that allow for students to express varying and opposing points of view. Should students take part in walkout, Bayard said they’ll likely be given a lunch detention — the same penalty they’d get for unexcused absences or lateness. Charles County, Maryland, schools have advised students that if they take part in a walkout, they will not be allowed to make up any graded assignments that are given out during class. They will be able to get their homework assignments for that class, according to school officials.